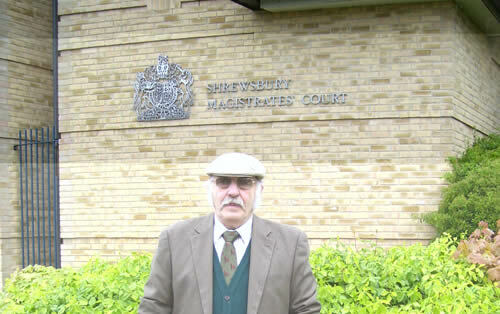 IN COURT TO DAY I SUBMITTED A PLEA OF NOT GUILTY, AND REQUESTED TO BE TRIED BY CROWN COURT. I NOW NEED A BARRISTER THAT WILL COMPLY WITH MY INSTRUCTIONS AND TO DEMAND FULL DISCLOSURE OF EVIDENCE THAT THE CLAIMANT WILL RELY ON IN COURT AND FOR WITNESS SUMMONSES TO BE ISSUED,FOR PERSONS OCCASIONING MY ARRESTS, AND FOR THEM TO BRING EVIDENCE TO SUPPORT THEIR CLAIMS. I PLEADED NOT GUILTY TO ALL CHARGES ON THE GROUNDS THAT THE DECISION BY THE COURTS WAS SUBJECT TO FALSE REPRESENTATION, THERE LIES THE CRIMINALITY, WITH ME LIES DISOBEDIENCE, WHICH, UNDER THE CIRCUMSTANCES IS GROUNDS FOR MITIGATION. MY FIGHT IS FOR PUBLIC RIGHTS, AND TO HAVE NATURAL ENGLAND AND ALL OTHER "CONSERVATIONIST". "You'll still be fighting when the Pearly Gates beckon!!!" Lets put it this way Tony---you ain't never going to be a pin up BUT on the other hand you'll still be fighting when the Pearly Gates beckon!!! The 'club' these people are members of ASSUME the lawfulness,expertise and means of each other and when proved otherwise close ranks with a "business as usual" sign up.Salvation is a business-an industry-with industrial pay scales and "it will be good for you" as a justification. Well,damn it,it's not good for US or our futures and,HLS,being money lead is no good for best practise / democracy or nature without public participation or resources to educate,monitor and enforce! "It's going it come down to mobilising the troops"
In the end, it's going it come down to mobilising the troops and getting all the infrastructure removed.